Dniepropietrowsk was given the first stadium into use. 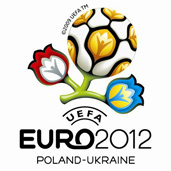 The stadium will host footballers and the Polish and Ukrainian fans during the Europe Championships in 2012. The district council in Dniepropietrowsk informed that a special state committee received the object. Igor Kołomojski, the Ukrainian oligarch, was the one who founded the stadium in Dniepropietrowsk. The value of the investment equals about 45 million euro. The object was planned to contain over 30 thousands of spectators and its building has lasted for three years.